If you love synths, you’ll want a guide to Berlin’s Superbooth. What was still just an actual booth a few years ago has grown into one of the world’s biggest synthesizer showcases. There was so much new, it’s actually hard to keep track. Here’s some assistance. About the festival: Superbooth, held in a former East German children’s community center in the city’s Köpenick suburb, was more packed in 2018 than ever. That’s partly a sign of the growth of modular makers. 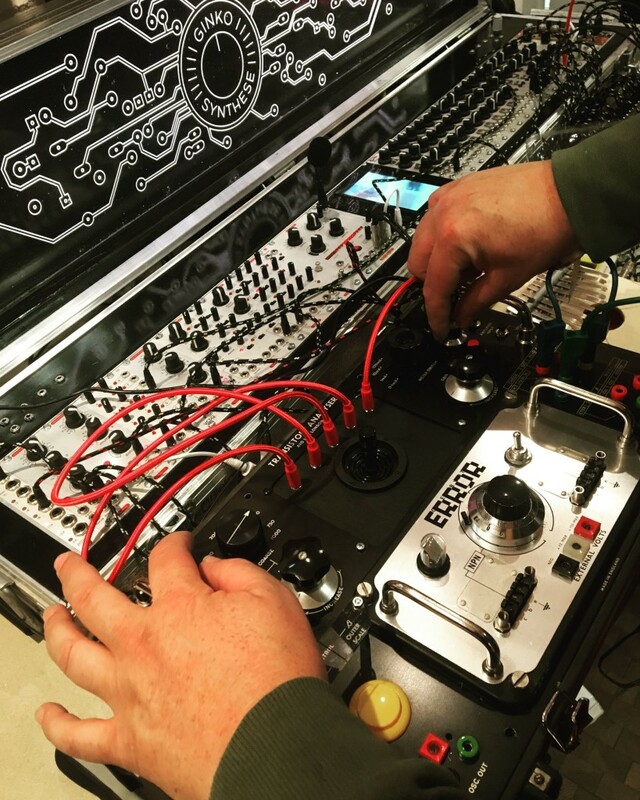 This event calls Berlin home thanks to Schneidersladen (née Schneidersbüro), the boutique synth shop that became a landmark and a beacon to lovers of electronic instruments, particularly as analog circuitry and Eurorack modular synths have seen major growth in the 21st century. Andreas Schneider and his team, and later their ALEX4 distributor and the Superbooth operation itself, have helped champion those instruments. But like that shop, Superbooth also gathers boutique makers of many stripes, plus big manufacturers like KORG, Elektron, and Roland, each of whom had commanding presences (among others). This year’s themes: There are still wires everywhere. But “analog” sound sources aren’t the major concern they once were – or, for that matter, classic gear as models (even if Behringer clones were a big buzz). Now, you’ll see plenty of computer-like sequencers in racks, digital oscillators (including FM synthesis), more alternative control interfaces (from touch to gestures to biosensing), and fresh ideas built around digital tech. 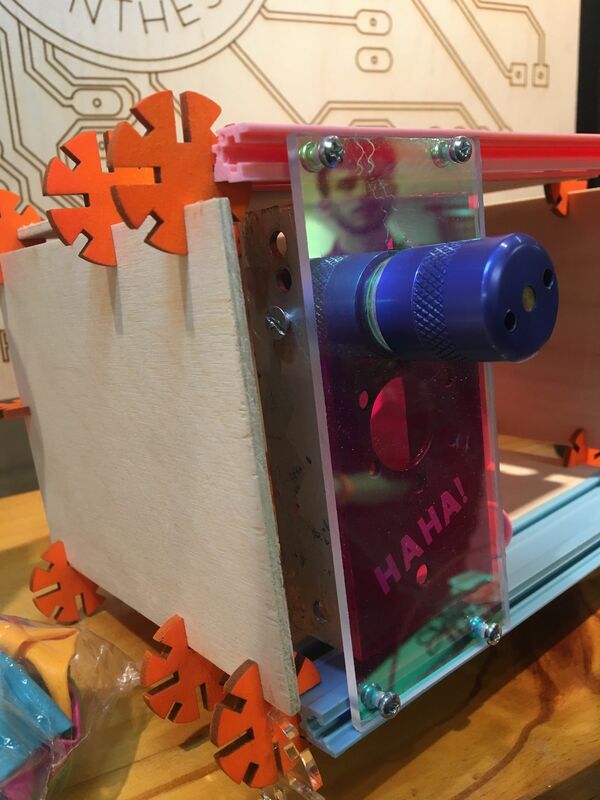 Actually, maybe the openness of ideas is a big part of Superbooth’s easy-going atmosphere. Because modules aren’t complete products in themselves, they often seem as much a physical embodiment of an idea as a product. Even with some builders marketing complete “systems,” there was a hunger to connect gear. But even if you’re not into modular… Here’s the funny thing. Superbooth has managed to become the world’s premiere synth show, not just modular show. Computers were mostly eclipsed, and you didn’t see a lot of guitar- or vocal-focused gear, but every other object that generates sound – from desktop synths to Theremins – was on hand, with some pretty big news. Okay, there’s so much stuff – I’m going to make this a really fast log with some in-a-nutshell descriptions. On #2, please feel free to remind me or make a case for something you found interesting. There’s actually way too much stuff to cover everything, though, so I did intend to pick highlights but …. I’m sure there’s more. Erik Norlander (also creator of the Alesis Andromeda) shows us the IK Multimedia UNO he worked on with Soundmachines’ Davide Mancini. I’ve covered these already, as they made some of the biggest impact at the show (and on general audiences), perhaps with the exception of the Behringer clones (more on that in a bit). MFB’s Tanzbär-2 was instant drool-worthy stuff, combining analog drum sounds, digital drum sounds with sample loading, and an analog bassline with easy access to sounds and faders. And it’s made in Berlin, so – score one for the home team. 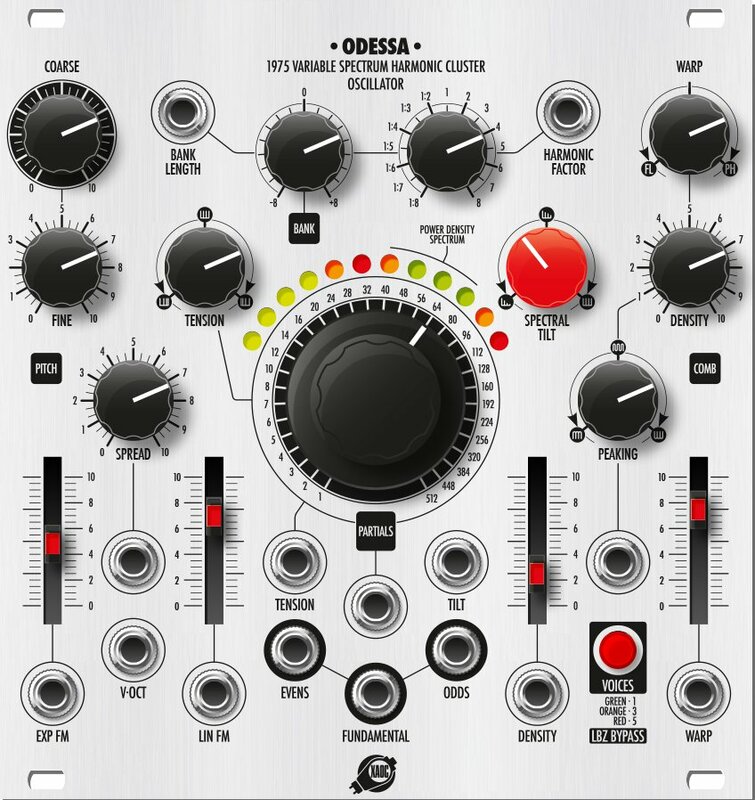 The Polyend/Dreadbox Medusa is a deep synth paired with an expressive grid and extensive live recording and sequencing features. And as with the MFB, pretty much everyone I talked to instantly wanted one, so there’s that. The $199 IK Multimedia UNO. Combining a powerful analog synth with a sequencer and lots of modulation, all in a battery-powered unit you can play right away at a low price, is an easy win. It’s also the work of a collaboration between soundmachines and IK. Erica Synths Techno System just does everything you need for percussion and bassline and distortion and mixing thereof, and sounds amazing. Roland’s SYSTEM-500 modules strike a nice balance between features of the 100m line, the SH-5, and newer ideas. 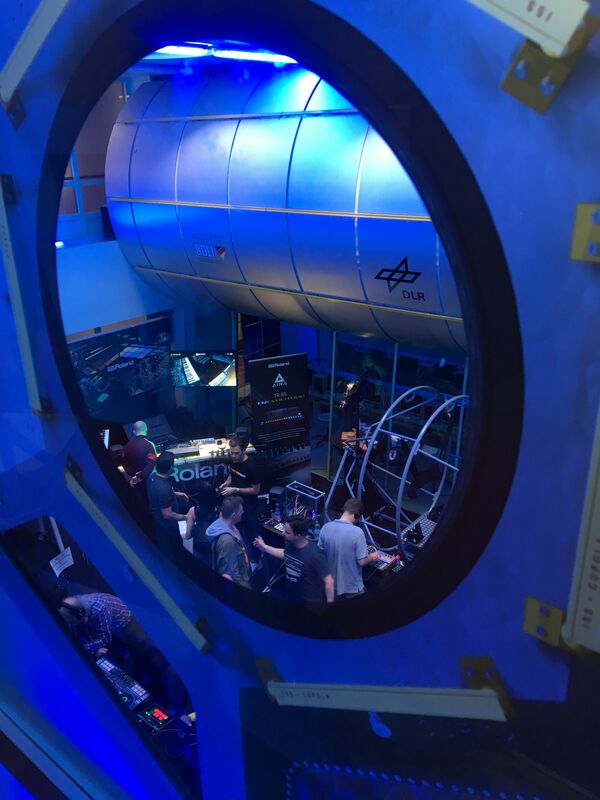 Plus, again, Roland got to stake out the super-cool space-themed part of the building. 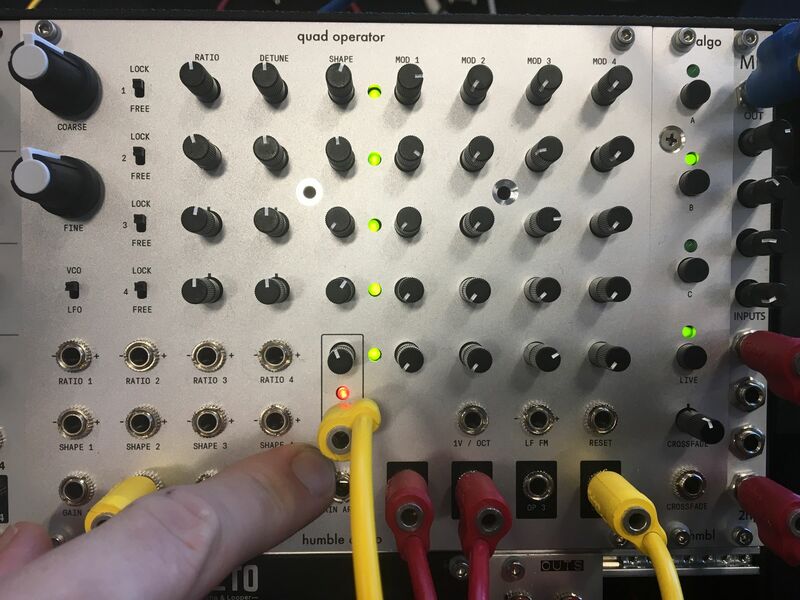 Bastl’s modules are noteworthy, even if not the most buzzed-about gear at Superbooth this year, for two reasons: one, I think they’ve got waveshaping interface down with Timber, and two, the 1983 MIDI-to-CV module does clever automatic tuning, for polyphony across modules. Dave Smith Instruments Prophet X. Dave Smith have gone to the high end with this one – it’s a new flagship Prophet, combining a digital 8-voice stereo digital synth, a new sample-based sound engine, and those signature DSI analog filters and circuitry. Basically, you get a Prophet workstation – part Prophet synth, part sample engine with 150 GB content, and all the extras. And it costs four grand, though this seems like a new generation of workstation keyboard / computer sample engine replacement. (Dave Smith for Hans Zimmer?) DSI have posted a complete product page. It’s sort of a shame Keyboard Magazine (USA) is no longer printed on trees, as obviously this would be on the cover. Soulsby Atmultitron. This is like the 8-bit workstation to DSI’s high-res one. 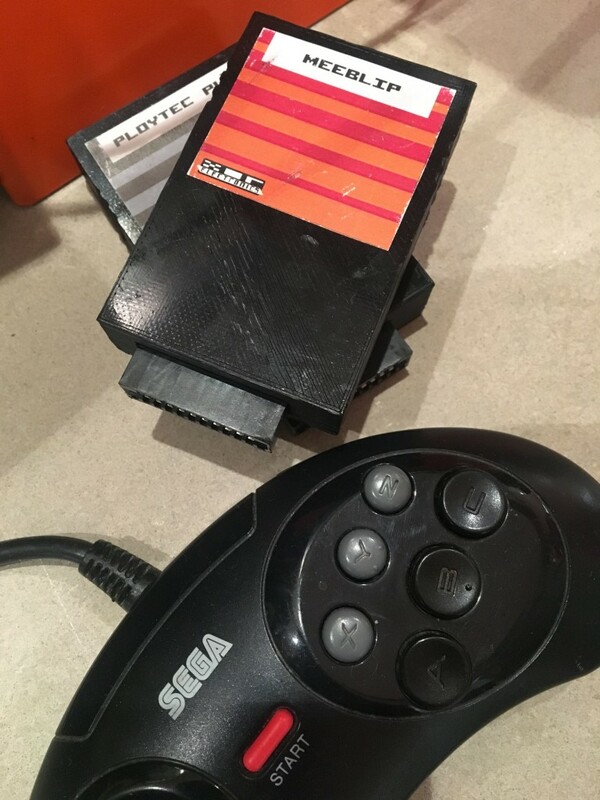 No gigs of samples or high resolution here – just a keyboard packing all of Paul Soulsby’s brilliant and weird 8-bit creations into a single keyboard with joystick and controls. Pittsburgh Modular Electronic Sequence Designer. 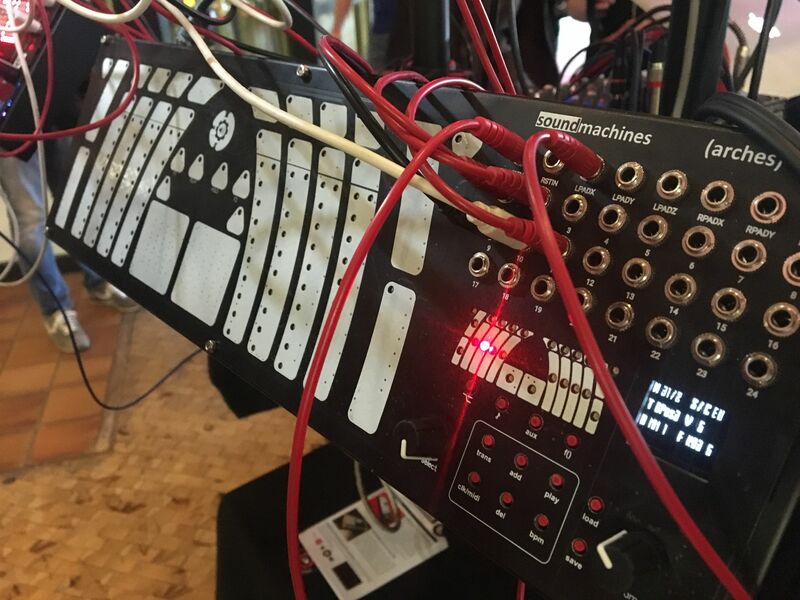 Sequencers were all over the place at Superbooth, but perhaps the most useful was Pittsburgh Modular’s entry – a 4-channel, 32-step sequencer with loads of performance and composition options. It’s a little like having a KOMPLEX Sequencer from KOMA, but in a more manageable form factor. Twisted Electrons introduced some toys in the best sense. The 8-bit uAcid8 borrows from their bigger acid8 wavetable synth, while the 4-voice hapiNES is “inspired by” the NES game synth. Both have push-button access to some clever features like filter wobble, and both cost just 99EUR. The inspiration of the Teenage Engineering Pocket Operators was left in the open – they even had a couple of those plugged into these, jamming together. A hardware tool for the Prologue. 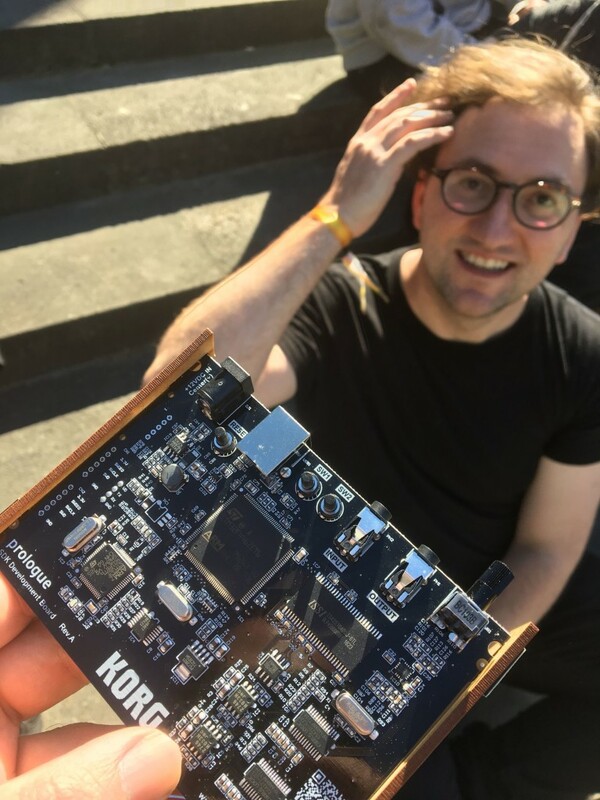 KORG hinted that they were bringing hardware SDKs to play with that would allow developers to make stuff for their Prologue polysynth. 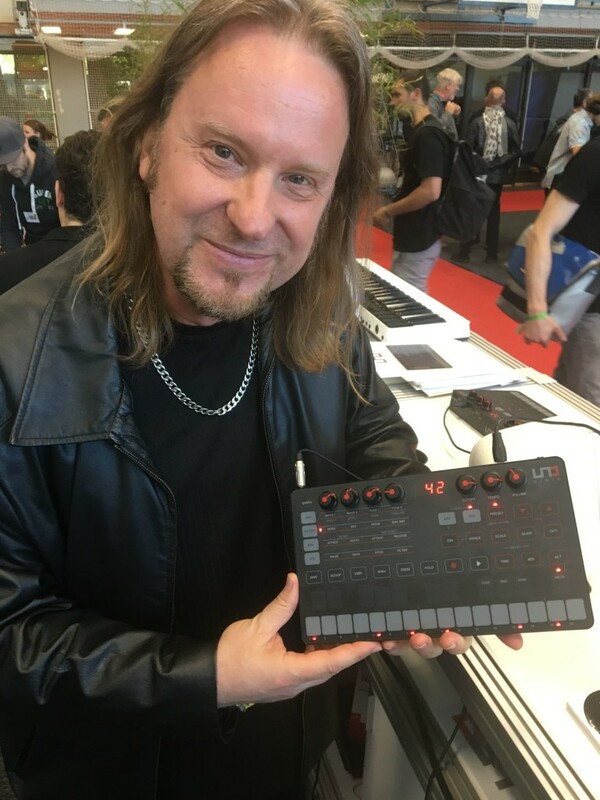 KORG’s Etienne Noreau-Hebert talked to us about it. It’s basically one Prologue voice on a board (with cute lasercut side stands), with audio in and out jacks so you can hear what you’re doing, and exactly the circuitry you’d have on the full keyboard. Writing in C (with limited C++ extensions), you can make your own oscillators and effects, then ship them to the Prologue user base. There’s not much to this other than that, apart from a handful of conveniences like lookup tables, but it still seems like fun. And it’s the first instance I can think of that a hardware platform worked in this way. Holon bio interface. This was crazy fun to play with. 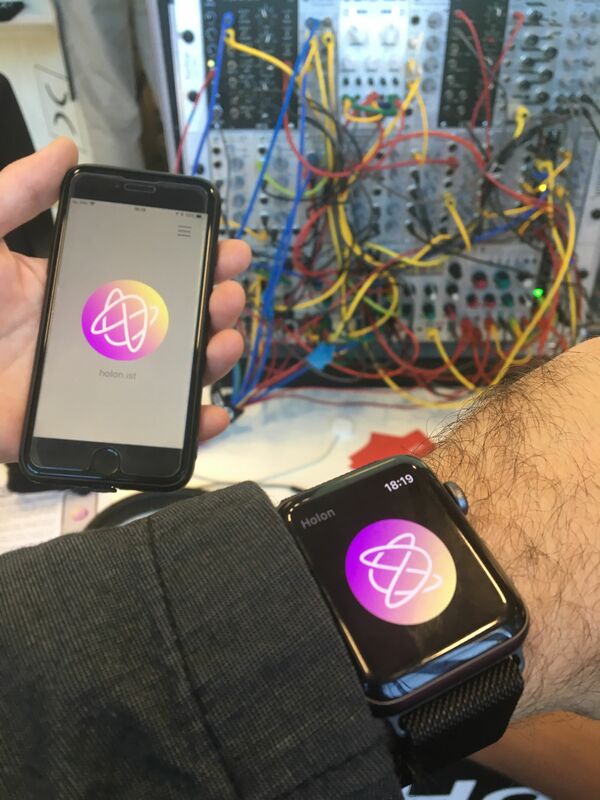 Using an Apple Watch or a custom wristband sensor (or just your iPhone), this interface tracks your pulse as well as movement. The upshot: jog around, and music responds. It’s like having a generative composer following you around, writing music for your workout – so that even when you pause to wait for a light to change at an intersection, the music answers accordingly. 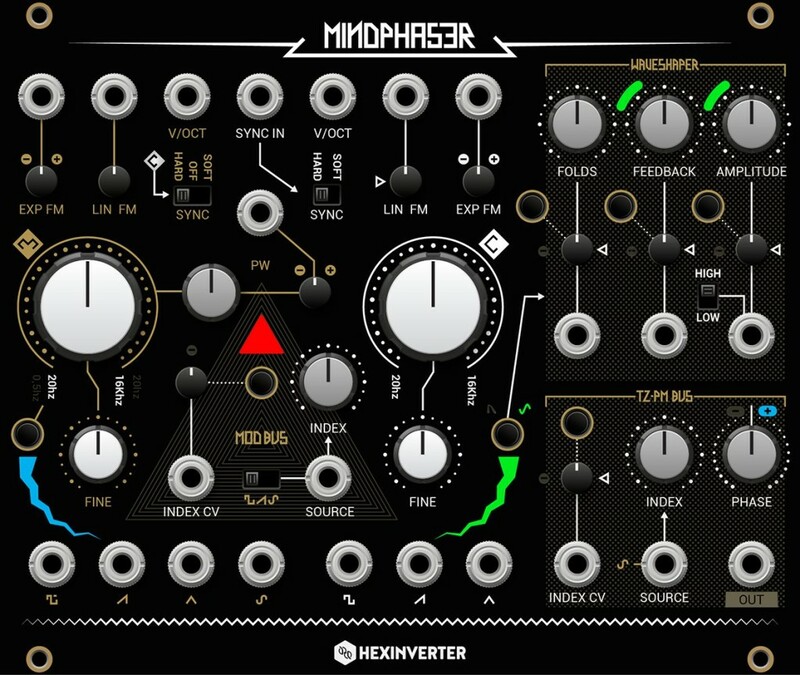 They also have a modular interface for this. Awaiting Apple approval. (holon.ist site seems not to be up quite yet, either). Soundmachines Arches. Touch interfaces were everywhere, but Soundmachines’ Arches was a standout. 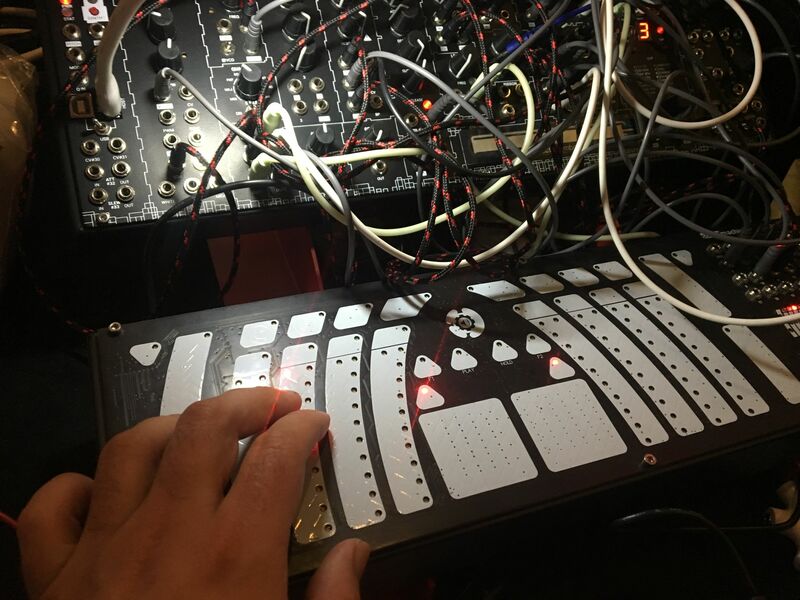 Not only does it provide touchable strips, but you get light-up feedback, recording and looping, pressure sensitivity and z-axis control, and tons of patchability in addition to MIDI and USB. It’s really a gestural sequencing instrument as well as control interface, with loads of pattern controls for automating as you play. See the full product page for more. Snazzy FX pedals. If you feel a bit left out of the fun as an instrumentalist looking for pedals, Snazzy has you covered – some brilliant and completely weirdo guitar pedals from the USA, found in the Erica Synths booth. u-he Civilization. 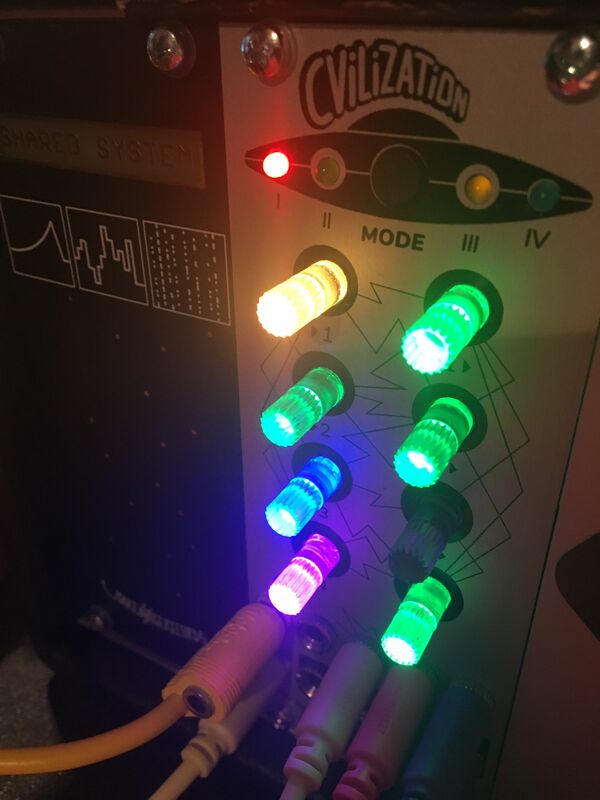 With lite-brite rainbow colors and just a few pots, the entry of plug-in developer into the modular world was a strange one. 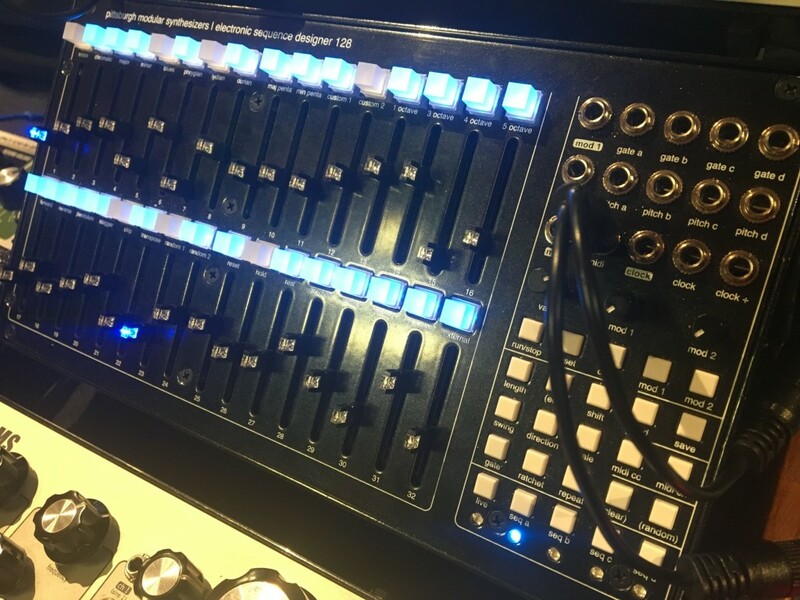 This module is a 4×4 matrix mixer – but, with some taps of those pots, it’s also a quantizer and sample & hold module – and all of that is color coded. Basically, a single space lets you command a bunch of connections and modules quickly, making Civilization an interesting choice for saving space. It’s a bit nuts, but it also shows some of the advantage of multi-functional thinking from software blurring over into hardware. Humble Audio Quad Operator. 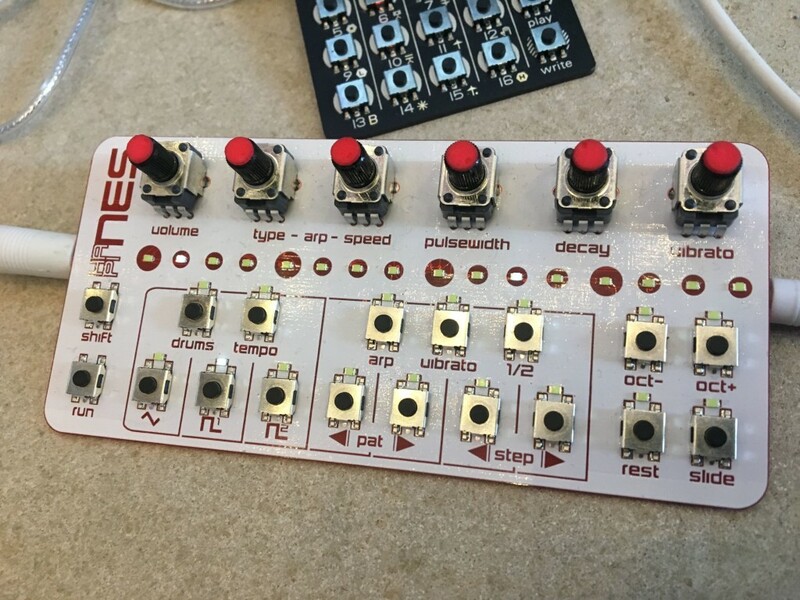 Hailing from San Francisco, Humble Audio have delivered a four-operator FM synth in a Eurorack module – complete with a matrix of pots. Everything can be modulated – and you can patch in audio signal. You can choose algorithms, or mix together your own sound shapes. It’s basically everything you’d want from a software FM synth, but in modular form – brlliant stuff, and hope to look at it more. 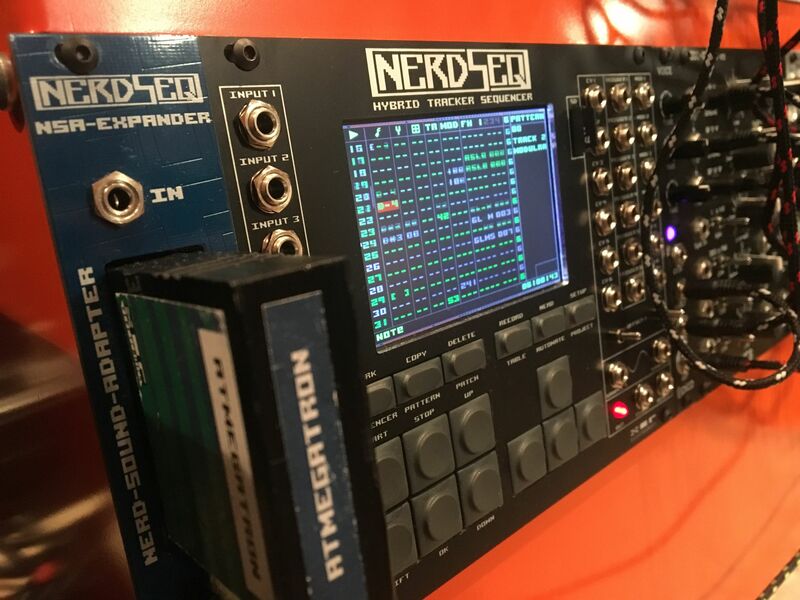 NERDSEQ is a chip music-style tracker in a module. 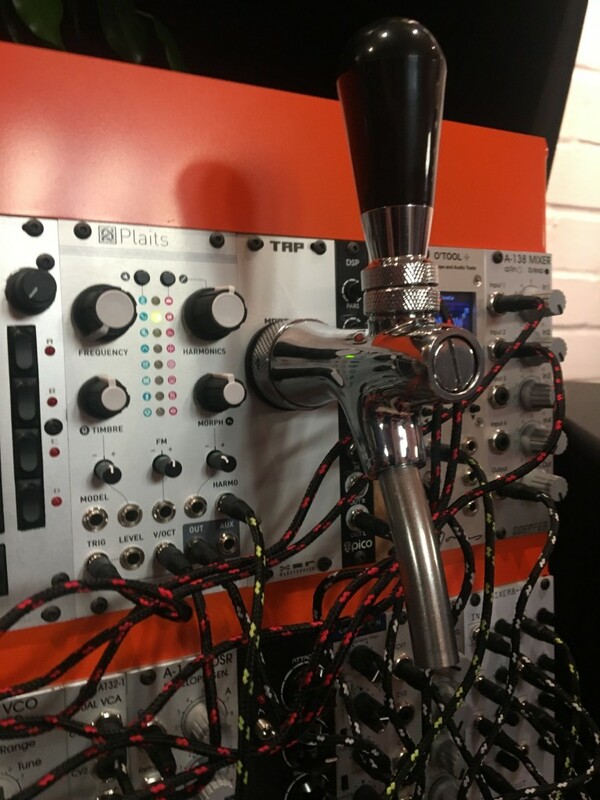 It’s not new – I saw some pre-modular prototype years ago even at Musikmesse – but each year, its developer takes it further. 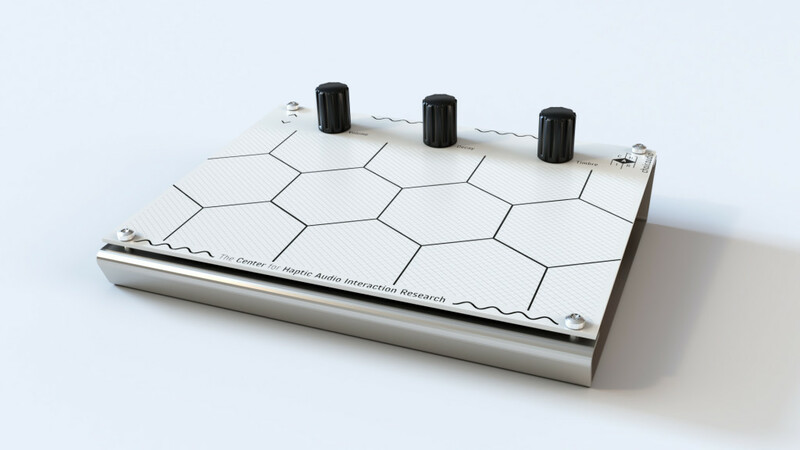 This year, cartridges containing open source synths, including the full MeeBlip anode with analog filter, were available. So you can plug in an entire synth and use it in the tracker, just as easily as you would play Excitebike. Don’t blow on the synth cartridge, though. You can plug in a game controller, too. Xaoc Devices Odessa. Okay, a lot of oscillators at Superbooth this year were various takes on additive synthesis and dialing your way through harmonics and sound shaping. But this “1975 Variable Spectrum Harmonic Cluster Oscillator” takes it to another level. You can “squeeze,” “spread,” and “tilt” complex-timbre sounds via some powerful, musical controls or by voltage. There was also a deep envelope generator with display from the same maker. Xaoc are yet another hot up-and-coming Polish manufacturer — Polyend being the other one that caught our eye. Xaoc is in Warsaw; Polyend is right outside. And yeah, for anyone who just associates eastern Europe with cheap manufacture, I have to point out – from Erica to Polyend to Bastl to Xaoc, and the list goes on, these manufacturers are also innovating in design, tech, and marketing. 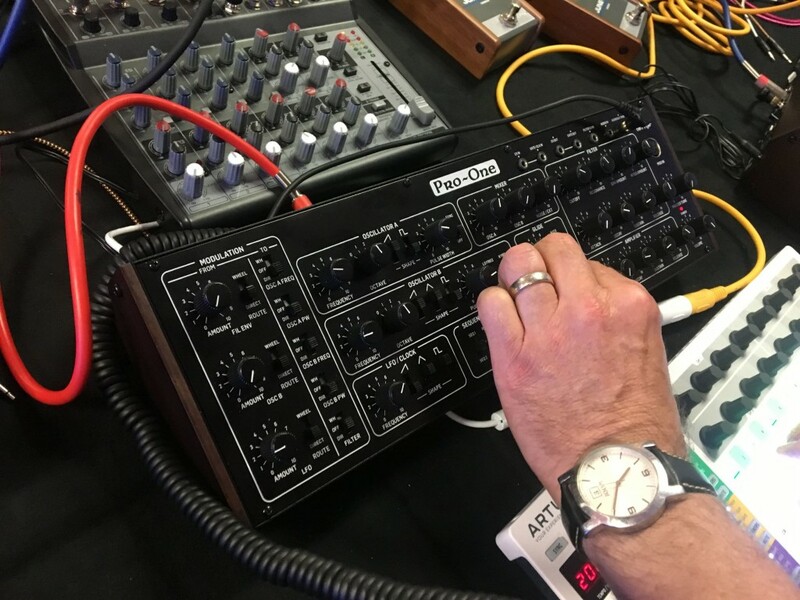 Behringer have gone clone mad – with Roland Corporation circa 1980 (give or take a couple of years) being a particular target. 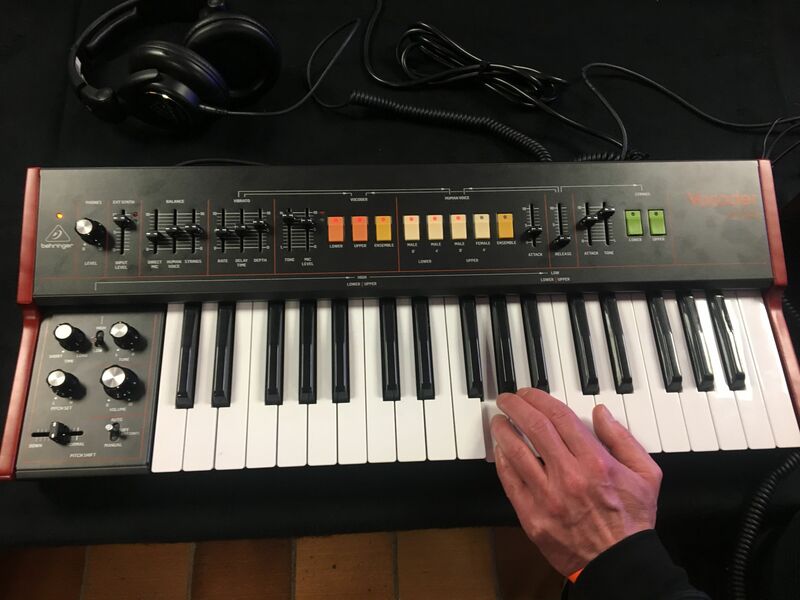 Roland’s SH-101 synth (1982), VP-330 vocoder (1979), TR-808 (1980), and even two pedals based on the JUNO-60 (1982) were on the show floor, not to mention the announcement that Behringer’s cut-rate Eurorack line will be based on the SYSTEM-100 module line. And no one can argue that Behringer are bringing back products that Roland won’t, since Roland has unveiled the SH-01, VP-03, TR-08 (and TR-8S and TR-8), and JU-06, plus their own SYSTEM-500 Eurorack, respectively. Behringer aren’t just copying Roland from decades past, in other words – their whole brand strategy comes straight out of the 2017-2018 Roland product catalog. Behringer’s offerings are cheaper, yes. But those aren’t profits going to some rich fat cats: they pay for the marketing and support operations of Roland worldwide, which arguably helps create the market Behringer can then come in and exploit (and certainly which pays for some jobs). 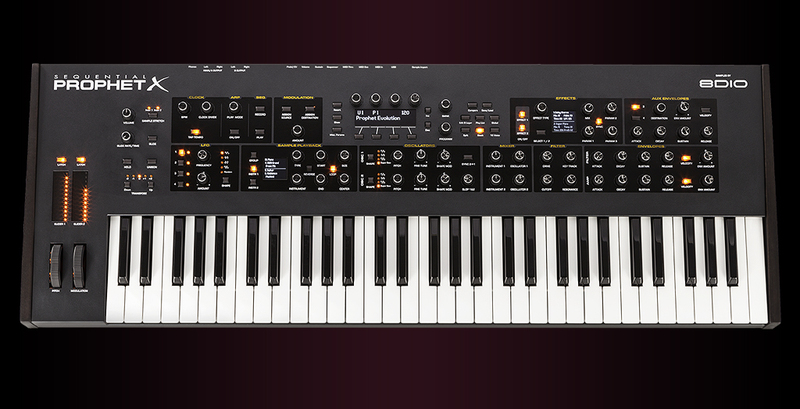 Nowhere to be seen: the DeepMind, the one synth Behringer created that’s actually new. On the other hand, maybe what makes this less remarkable at this point is that the 101 and 808 in particularly already have countless clones in software and hardware. Behringer is, perversely, almost trading on their reputation for being the clone maker. Behringer’s strategy (via parent Music Tribe) and its impact on the industry deserves more investigation. Past clones have landed the company in legal trouble with Roland/BOSS and Mackie. I’m researching that story and will report more separately. But were there new products from Behringer? Well, no – not unless you’ve been in cryogenic stasis since 1982. 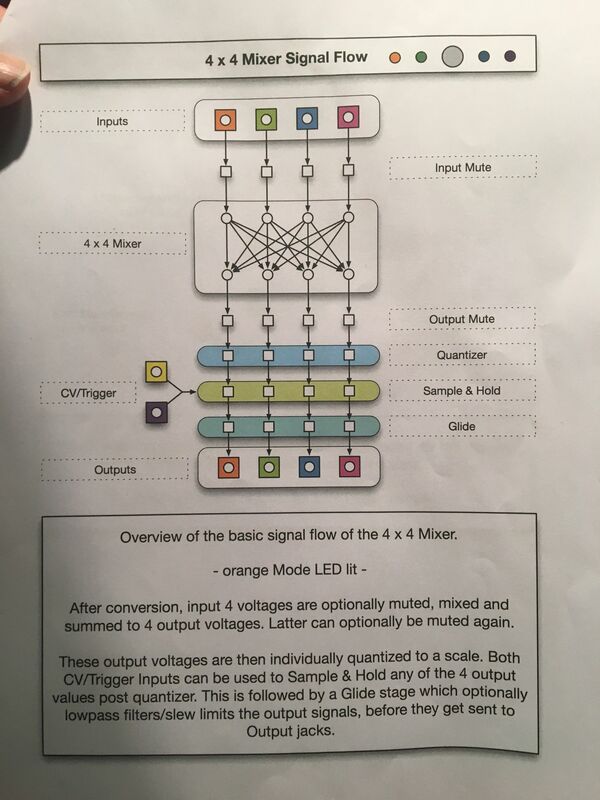 It justifies Behringer’s hardware clones with a reference to all the human … cloning … going on. Really, human cloning? Wasn’t aware. Oh, so much weirdness. Want a beer tap in a module, for instance? It’s not possible to cover everything. But let us know if there was anything that particularly excited you – and that was new around this show.